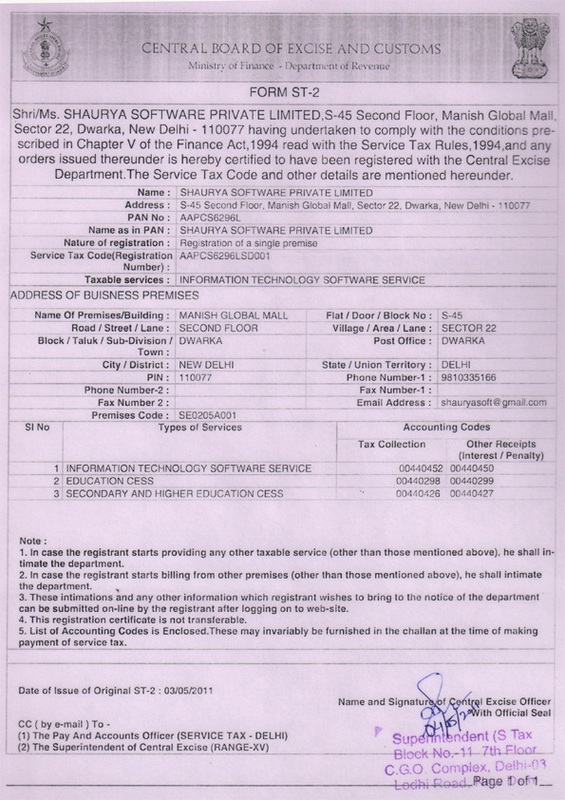 Service Tax Registration Certificate having Service Tax Number of SHAURYA SOFTWARE PVT. 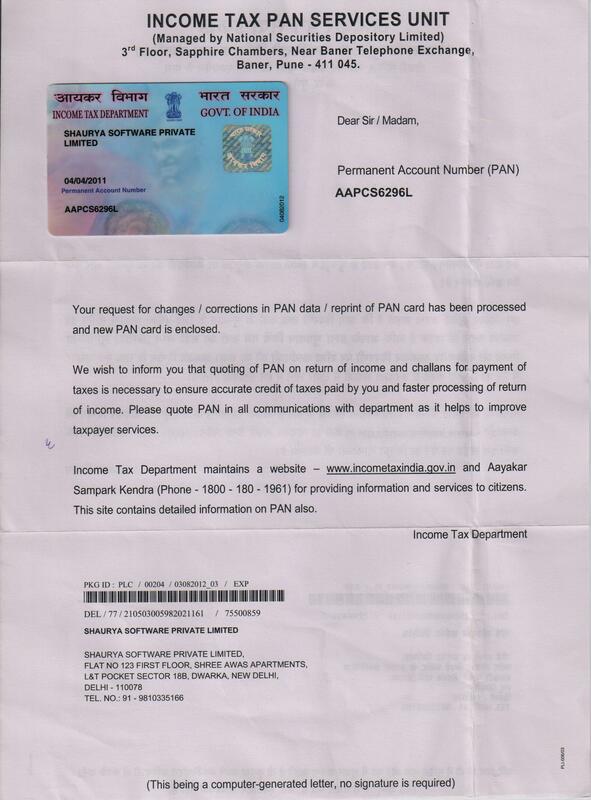 LTD.
Pan Card having Permanent Account Number (PAN) of SHAURYA SOFTWARE PVT. LTD. 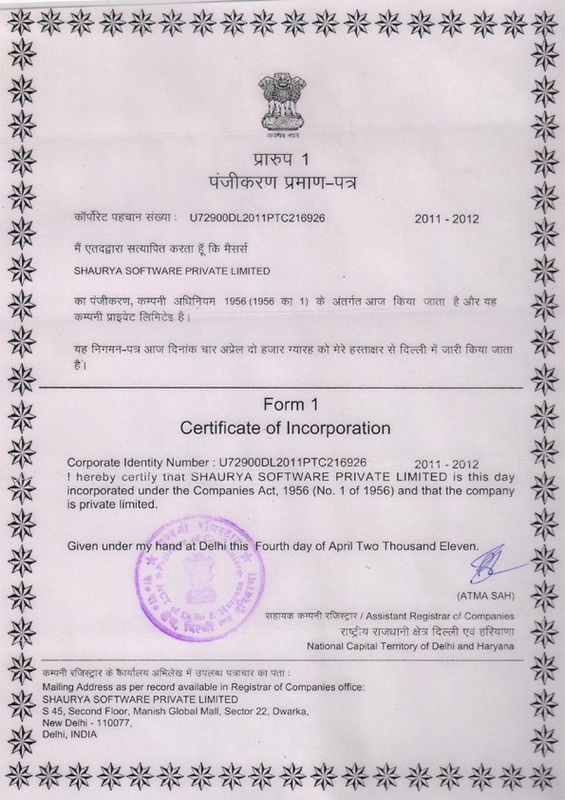 Certificate of Incorporation having Corporate Identity Number of SHAURYA SOFTWARE PVT. LTD.
Kindly dowload Adware Cleaner to remove unwanted advertisement to run the application smoothly. You can download and install Hindi Font "Devlys 10" which has been used in the application. You may require this at the time of exporting data to excel whereever hindi font is used in the application. Kindly download Crystal Reports redistributable 64 bit version as applicable to your windows version. CR redistributable is required to be installed along with PowerFee in order to print offline reports. Kindly download Crystal Reports redistributable 32 bit version as applicable to your windows version. CR redistributable is required to be installed along with PowerFee in order to print offline reports. You can also dowload CCleaner which is a highly recommended tool for cleaning your Windows PC and make your computer faster and more secure. Download Microsoft Fixit Tool for Internet Explorer 8 in case you get script error causing your browser to run slow. ShauryaSoft users can quickly download TeamViewer's ShauryaSoft Support (Remote Desktop Sharing Application) which enables us to provide them remote support as and when required.